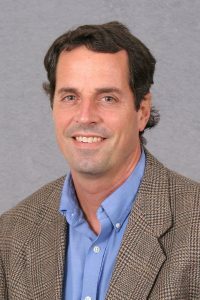 Dr. Hamilton is an Associate Professor of Economics teaching in the undergraduate and Adult Professional Studies programs. He joined the AU faculty in 2012 after teaching appointments at Rose-Hulman Institute of Technology, DePauw University and Marshall University. His teaching interests include everything from the Intro to Economics course to the International Business & Economics course. He earned the Certified Financial Planner (CFP) designation in 2012 and is currently developing related courses in Financial Planning. He is President and CEO of USA Economics, Inc. that provides financial planning software catering to the needs of middle-class households. Dr. Hamilton has a B.S. in Mechanical Engineering (University of Kentucky, 1991) and a M.A. and Ph.D. in Economics (Indiana University, 2002). His research interests include optimization in financial planning, public policy, and health care economics. He is married to Ann and they have four children. He is an avid runner and enjoys coaching the kids’ sports teams.